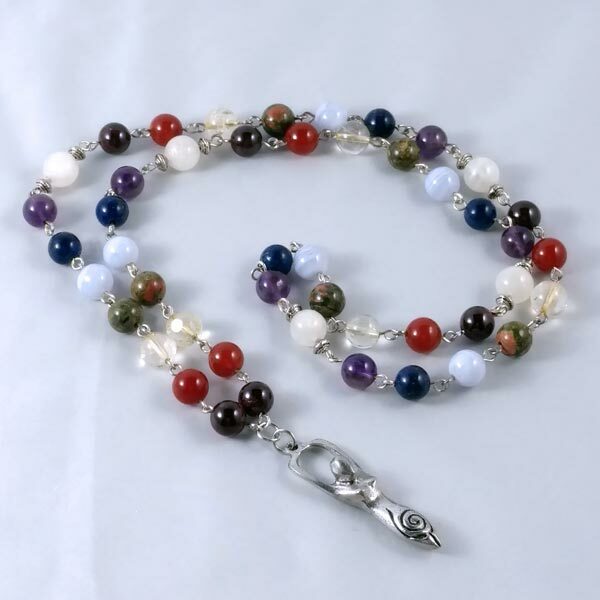 Recommended for maintaining chakra balance or to bring one or more slightly off-balance chakras into balance. 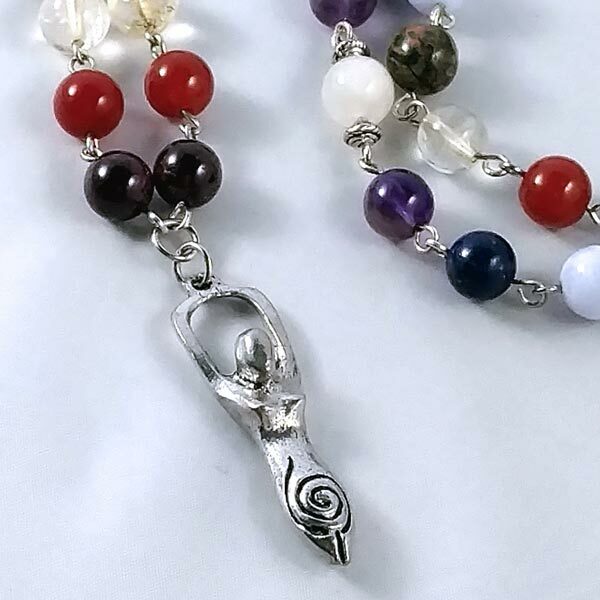 27" length with fine pewter (no nickle ore lead) Spiral Goddess ceterpiece adding a 2" drop. Individually hand linked and comes gift boxed. Infinite loop of 6 sets of 8mm chakra healing gemstone beads that have a Rainbow Moonstone bead spacer between the Chakra sets. Amethyst - Crown/7th Chakra, Lapis Lazuli - Brow/6th Chakra, Blue Lace Agate - Throat/5th Chakra, Unakite - Heart/4th Chakra, Citrine - Solar Plexus/3rd Chakra, Carnelian - Sacral/2nd Chakra, and Garnet - Root/1st Chakra.